The sixth TimeSpace, and room, recounts women's captivity in Nazi-Germany and at the same time the small opportunities they used to act on their own conscience and elude the extinction of their own Selves. The symbol of the spiral marks women's enduring will to live and survive in the shadow of a patriarchal politics of power and destruction. 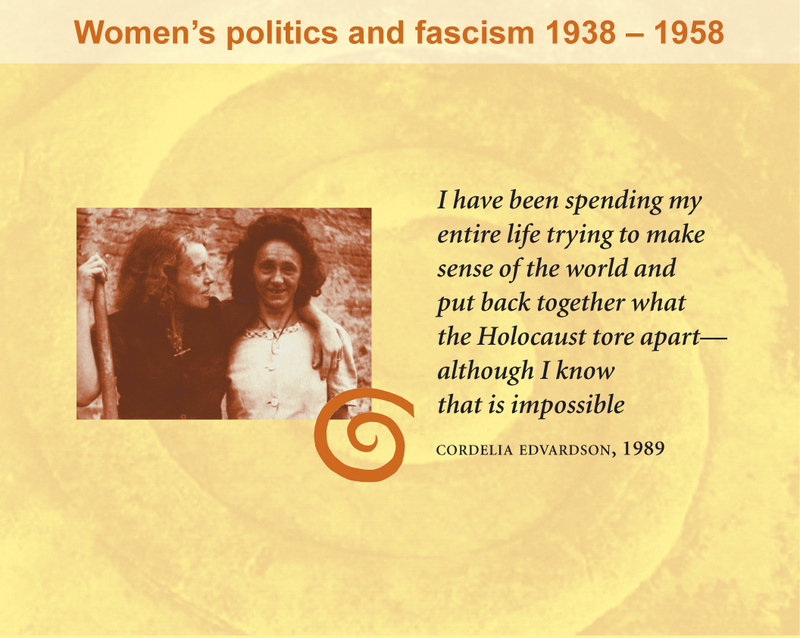 Women's survival work made it possible to overcome fascism and to this day matters for the development of courage and civil disobedience. The photograph from 1945 exemplifies the survival work of these women and at the same time expresses their connection and hope for a better future.